Is Demand For The Tesla Model 3 Already Falling? Tesla deliveries dropped by 31 percent in Q1 2019 compared to the final quarter of last year. Tesla had cause for celebration this month as the Model 3 was Europe’s best-selling premium mid-size sedan in February, outselling its established German rivals like the Mercedes-Benz C-Class, Audi A4, and BMW 3 Series. Overall sales for the Model 3, however, have fallen in Q1 2019. The company has announced in a statement it delivered 63,000 cars worldwide in the first quarter of 2019, around 50,900 of which were Model 3s. That represents a 31 percent decline in deliveries compared to the final quarter of 2018. To put that into perspective, the last time Tesla saw a quarter-to-quarter sales decline was in the first half of 2017. 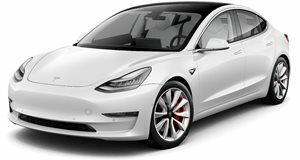 As a result, Tesla says it expects "Q1 net income to be negatively impacted,” but the statement said the carmaker had "sufficient cash on hand.” This decrease in sales suggests that demand for the Model 3 in North America is falling, but Tesla reaffirmed its sales target of 360,000 to 400,000 car deliveries in 2019. The company also added that US orders for the Model 3 "significantly outpaced what we were able to deliver,” with production outpacing deliveries by 22 percent.